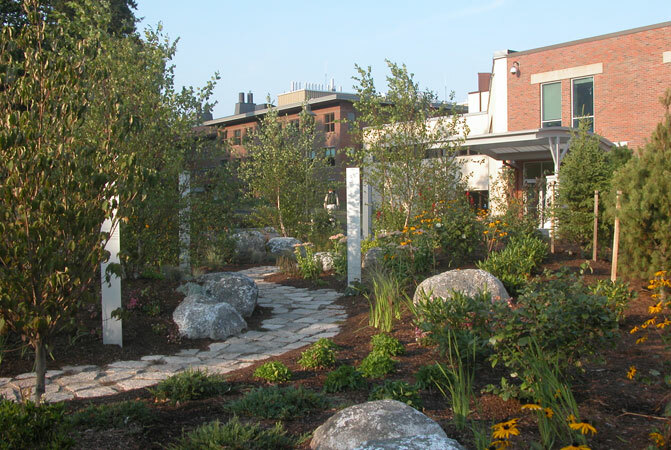 Entry and Dining Commons Coplon Associates provided site planning and landscape architectural services for a new main entrance and dining commons at the Jackson Laboratory, the renowned genetic research institute located in Bar Harbor, Maine. The design creates an arrival sequence along a new walk into an entry plaza that features an inlay of Jax's helix logo. The walk and plaza are framed by custom fabricated granite seat walls. 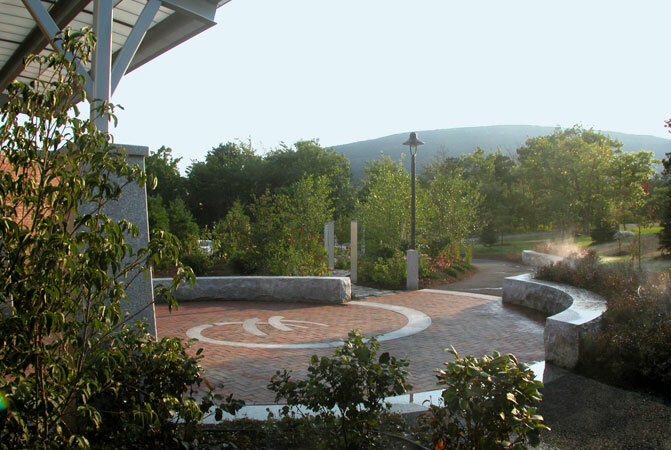 A garden adjacent to the entrance commemorates donors to past capital campaigns and skillfully screens the adjoining service drive from the entry path, plaza and front door. 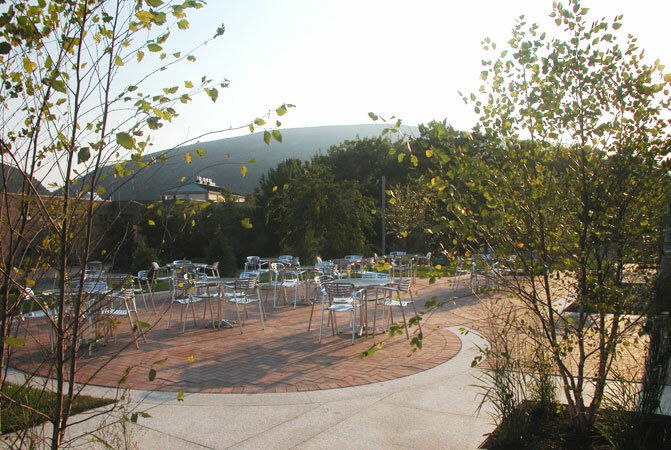 The form of the commons dining terrace reflects the silhouette of the surrounding mountains that form the backdrop to the Jax campus. Groves of river birch within the terrace frame views to the mountains from within the building and offer areas shade for summer dining.